Are you in search of storefront glass installation in Houston for your business? Perhaps your business is in need of commercial glass replacement for a broken glass window or door. It’s important to take safety into consideration when choosing commercial glass services. Having your worn, degraded glass replaced by a professional commercial glass service has multiple benefits. 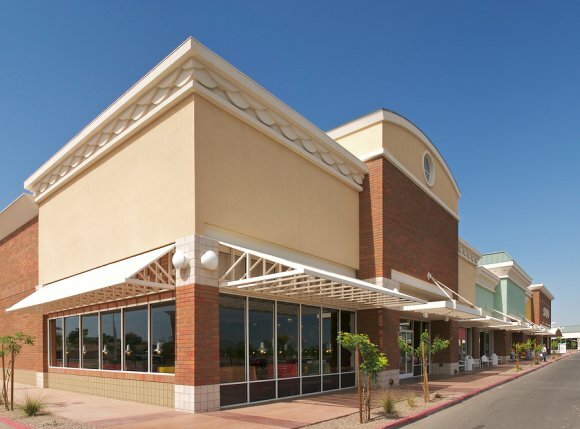 Not only will your storefront look more clean and sophisticated, but your company will also avoid the safety hazards of being surrounded by degraded glass. There are several safety glass types available for businesses that require commercial glass replacement. If your company deals with large amounts of money or is located in a high-risk area, you may consider purchasing bullet resistant glass to keep you and your employees safe. Likewise, if severe weather poses a safety concern in your area, hurricane impact resistant safety glass may be a wise choice. Finally, laminated safety glass and tempered safety glass are also popular options for storefront glass installation. Do you have a dark space in your home that you’re looking to lighten up? Glass mirrors in Houston offer plenty of design options for bringing light to your cramped or dim space. Read on for some tips on adding light to any room using glass mirrors. 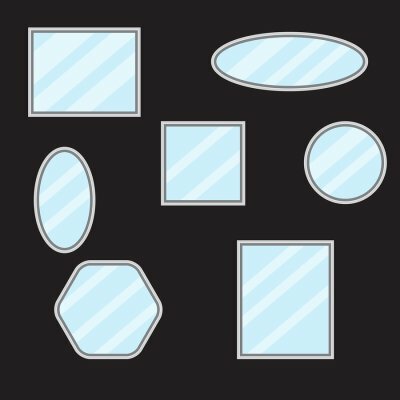 When adding light to a room using beveled glass mirrors, consider the space’s current light sources. For a large room that needs additional warmth, arrange glass mirrors near—but not in front of—the room’s light source. For example, rooms that are illuminated with wall sconces can be given more light by hanging a mirror underneath each sconce. For a smaller room, try hanging a mirror on the wall opposite the window. This can give the illusion of a second window, bringing in additional light. The larger a beveled glass mirror is, the more light it will bring into your space. However, that doesn’t mean you should cover your wall corner-to-corner with a single mirror. You can also arrange several smaller mirrors together to bring in additional light while adding a decorative touch. In general, large, heavy frames appear to trap light and diminish your mirror’s effectiveness when it comes to brightening up the room. Choose a thin frame that is similar in color to the wall, or even go frameless. Beveled glass mirrors are a great frameless option for lightening up a room while giving it a glamorous look. A beveled wall mirror is great for reflecting light, but it’s not the only option you have available. Rather than hanging all of your glass mirrors on the wall, you can choose other locations for your reflective glass accents. For example, play with lining the back of a bookshelf with glass mirrors. If you don’t have much wall space in general, purchase a wardrobe or table that consists of reflective glass. You can even find reflective accessories like mirrored coasters, vases, or candle holders to reflect light in your room. Want to keep your glass tabletops looking great for many years to come? It’s important to maintain proper glass care to extend the life of your tabletop and ensure it remains an elegant centerpiece for your living room. Read on to learn some simple strategies for extending the life of the new glass tabletop you recently bought or plan to purchase from a custom glass company in Houston. A glass topped desk or table is a functional piece that can be used for many different purposes. However, because it is made of a delicate material, it must be treated gently. This means refraining from piling heavy objects on the glass tabletop. Excess weight can cause the glass to crack or break, ruining your elegant piece. Try to only use your glass furniture for storing everyday items, such as coffee table books or vases of flowers. When placing these items on the tabletop, set them down gently. Allowing books or other objects to fall onto the table, even from a height of an inch or two, can crack the glass. In order for glass to maintain its beautiful transparent look, it must be cleaned regularly. Dust and fingerprints can easily accumulate on a glass table top, so it’s important to keep a daily cleaning schedule to remove these smudges. Fortunately, window cleaner or a water-and-vinegar solution will take them right off without leaving unsightly streaks. Make sure you offer your guests coasters for their drinks to avoid getting water rings on the table, as these can require some extra scrubbing to be removed. Be careful when choosing which accent pieces to place on your glass furniture. Remember that certain materials can scratch glass, especially those with sharp corners or rough edges. Choose items that have smooth bases and can sit in a stable position on top of the glass. You can also avoid scratches by taking off any rings or other jewelry that you might be wearing while cleaning the table. 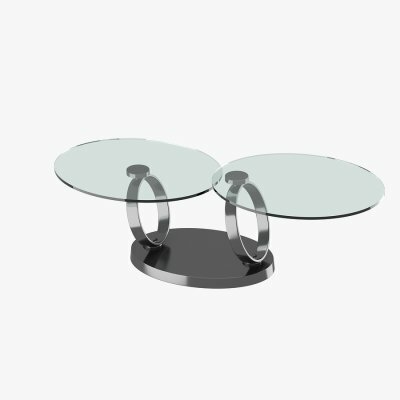 Finally, keep your glass furniture away from high-traffic areas to avoid any accidents that could result in a scratched or cracked glass tabletop. Anyone who has ever cleaned windows knows the struggle of avoiding window streaks. From sliding doors to mirrors to frameless shower doors in Houston , there are many surfaces in your home that are known for being difficult to clean. Even if you think you have tried every glass cleaner and technique possible, there are easy solutions to avoid window streaks. Watch this video to learn simple tips to give the windows and mirrors in your home a streak-free shine that is easy to keep up. These tips include using a mixture of vinegar and water, as well as techniques to make your surfaces shine—without the streaks. How Can Safety Glass Benefit Your Business? As a business owner, it is important to find ways to protect your business. Taking precautions and finding new safety measures can protect your business from a number of risks. Many businesses benefit from tempered safety glass in Houston . When exploring options for commercial glass, there are a number of reasons more businesses are turning towards safety glass. One of the more popular choices for safety commercial glass is tempered glass. Tempered glass is up to four times stronger than traditional glass. This means it provides an additional level of security that can ward off break-ins. It is a popular choice for businesses with large storefront windows, or windows that are on the ground level. Since so much extra force is required to break tempered glass, it is unlikely that large windows would be damaged during a storm or hurricane. Tempered glass also is designed to break into small pieces rather than shattering, meaning if the glass does break, there is less of a chance of injury. If you are the owner of a business, it is important to make sure that your retail space is attractive and inviting to your customers. Using commercial glass in your storefront design is one of the best ways to showcase your products and services. With carefully designed front doors and windows, you will be able to boost the curb appeal of your space. A glass company located in Houston will be able to assist you with every step of your commercial glass installation. Read on for some design ideas for using glass in your storefront design. In order to create the largest possible glass area for your storefront space, you may want to consider using glazed glass for your construction. Glazed glass is much more durable than conventional window glass, and can be used in large expanses. When paired with aluminum glass frames, your glazed glass will achieve a large and lofty look. Your glass company can tell you more about the advantages of glazed glass in commercial applications. When a customer approaches your retail space, your storefront will be one of the first features that he or she notices. In order to tell a story about the personality of your company, you may want to create a showcase or display area in your glass storefront design . By creating a glass window display, you will be able to show off your most popular goods. With a carefully crafted display, you can draw in new customers and encourage past clients to return. A glass storefront can be used to provide your business with a sleek look and feel. 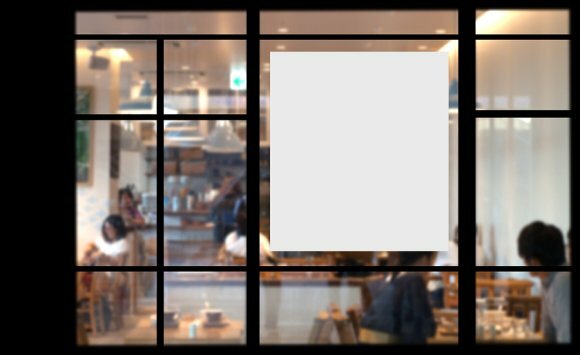 As you are working with a glass company near you to create a new storefront design, you may want to ask about how you can add modern touches to your installation. For example, sleek window frames and large panes of glass can provide your business with a contemporary and stylish appearance. How Can Glass Partitions Benefit Your Office? Do you want to create some separation between the various rooms and cubicles in your office? You can do it rather easily by using commercial glass services to install glass partitions within your office space. Whether you want to section off a few specific rooms with glass partitions or you want to give your employees the privacy they need by putting up partitions in between their workspaces, there are many benefits to hiring a glass company located in Houston to add partitions to your office. Check out a few of the glass partition benefits below. They will allow natural light to spread throughout your office. In order to separate certain parts of your office from others, you could put up walls. It will get the job done, but it will also limit the amount of natural light in your office. With commercial glass, you can get all the natural light you want while still building the walls that you need. They will be glass walls that will make your entire office feel brighter than ever before. Your employees will appreciate the light and clients visiting your office will take notice of it, too. They will help you save money on your energy bills. If you are running an office that doesn’t have any walls dividing it up, then you have probably realized just how difficult it can be to heat and cool it. With glass partitions, you can control the climate of your office more effectively and make it feel more comfortable for your employees. Additionally, you can do it without having to spend money to make costly structural changes to your office. They will offer your employees more privacy. Many employees that work in large offices complain about a lack of privacy. Glass partitions can give them the privacy they desire and keep noise levels to a minimum. You can also tint or frost glass partitions with help from a glass company if you want to make certain parts of your office even more private. It will give your employees all the privacy they need.